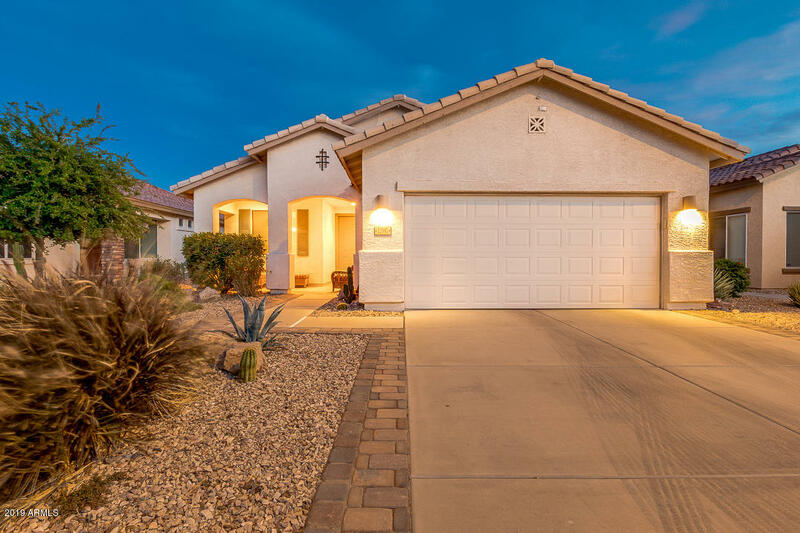 All SUNDANCE PARCEL 24 homes currently listed for sale in Buckeye as of 04/19/2019 are shown below. You can change the search criteria at any time by pressing the 'Change Search' button below. 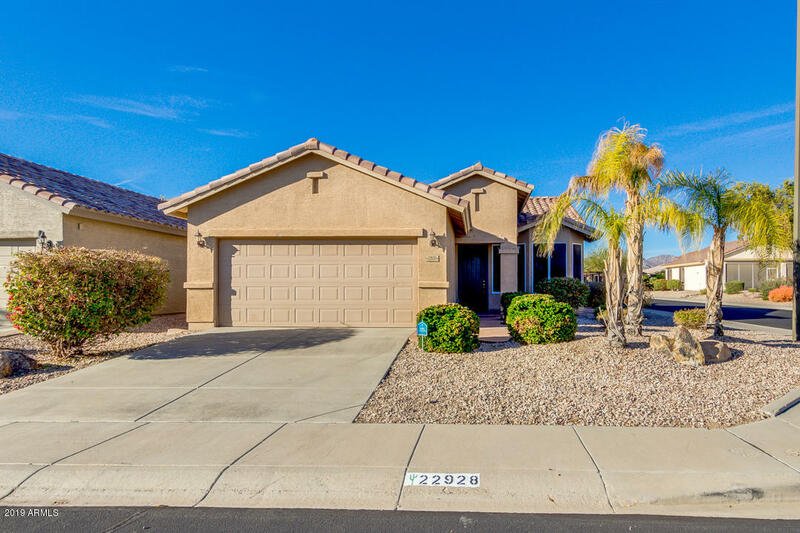 "Captivating 2 bed, 2 bath with den/office home for sale in Buckeye in Sundance Adult Village. Fantastic curb appeal w/2 car garage. Updated interior w/neutral paint, upgraded flooring & fixtures & terrific floor plan. Spectacular eat-in kitchen w/granite counters, plenty of cabinets, stainless appliances including convection oven/microwave & track lighting. Generously proportioned bedrooms & master w/gorgeous ensuite w/separate tub/shower & spacious walk-in closet. Relaxing backyard includes a "
"Sundance Active Adult. Incredibly immaculate home with many upgrades and owned solar. You will find all tile throughout, custom paint colors, blinds and shades for all windows, all of the appliances including the refrigerator, washer and dryer, open kitchen with granite counter tops, stainless steel sink, very low maintenance front and backyard, beautiful cherry red cabinets that surround the garage walls, ceiling fans, screen doors, sliding doors from the master bedroom to the patio and from th"